These days there are a lot of companies that are paying people to take surveys. 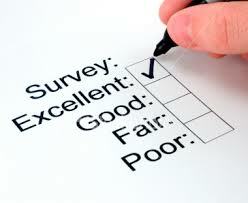 These surveys can be in the form of online surveys, phone surveys, focus groups, reviewing movies and products. As with anything, there are some offers that are good and some that are not. I will cover one in this post. Survey Money Machines is a company that basically connects you with their clients that are companies who are wanting people to do surveys and preview various things. They are legit as far as getting you the means to perform a job and get paid for it through their sources. The surveys they present you with have various ranges starting low and goes pretty high. It all depends on who is requesting you to survey for them. The ones I have taken last about 2-5 minutes. And I have seen offers of up to $15.00. They constantly put offers in front of you but has the decency to ask if you are getting tired of hearing from them. I thought that was very thoughtful. These offers come in the form of E-mails so you will see them quite often as long as you are doing them. If you have time to handle the offers it might not be a bad deal for you. As with any type of survey job you become a target through the answers you give to start receiving other E-mails offering you this and that. This usually brings a ton of E-mails you are not interested in and some you might be. 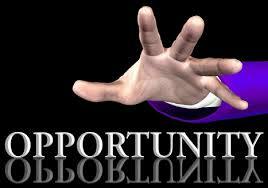 But at the same time mixed with money making opportunities. So if you get annoyed with a lot of E-mails, this may not be for you. Overall I give Survey Money Machines a ranking of 8 out of 10 Simply because I feel they are legitimate and provide a means to make some income honestly and with no gimmicks or tricks. But it does require you to deal with a lot of E-mails with the courtesy of asking if you are you tired of receiving them and giving you the opportunity to opt out. I do believe that you can make some money doing this but don’t expect to get rich. It would take numerous hours out of a 24 hour day to achieve that. Just be willing to handle a lot of e-mails. One opportunity that I did run into while trying this was an outfit called Send Earnings and it came through one of the E-mails. They paid me $5.00 just to join their survey panel and gave a to-do list that you receive extra on. I am currently up to about $9.00 and this is after I leisurely did it for a couple of days. When you get to $30.00 you can ask to be paid out but not until you reach the $30.00 mark. That’s reasonable I would say. When you go to your profile or home page you will always see what you have earned. Some pay may take up to 24 hrs but that isn’t bad either. They provide a variety of ways to earn money ranging from free offers to coupons. It isn’t something that is going to make you rich but can financially help out with generating extra income. They also provide a way for you to get paid while surfing the internet. Now, for me, this was the first I have seen of this method. If you would like to take a look at them click here and you can see if it is something that might work for you or not. If you are interested in trying to make your own path using the internet, you can start here by making your own website geared by what you want to promote and how you want to promote it. I know a lot of places offer free websites but this offer lets you build it yourself with training and community support to ensure you won’t be lost if you never tried it. There is no gimmick or scam behind this offer. I highly recommend you try it for yourself as well with zero start up. You are already on this site that offers it so you might as well take a look and it won’t cost you anything but a little of your time. Go to the Getting Started page on this website to get started. Thank you for visiting and I hope you found some information you could use while here. Please feel free to leave any comments below. We welcome anything you have to say. Nice and honest review. Very interesting and more importantly, informative. Thanks Eislef. I try to give people information on things the way I would want it given to me. And that is with not pulling back the punches. It is much better to know the real deal than to have to find things out the hard way. Thank you for visiting. I found that surveys are a waste of time, unless you literally have nothing else to do. I spent about a month on them and ended up with next to nothing to show for my time. My advise – stay away. Absolutely Tony. You can’t expect to make a lot of money on these. But there might be some people who like to respond to these surveys because they just may have a lot of time on their hands. As I mentioned It definitely isn’t for everyone especially if you don’t like a whole lot of E-mails or you have other things to do with your time. I have looked into online Surveys before. You have described it well. You do earn some money for your time, just have to watch the dollar return you get for the amount of time spent. I am glad you pointed out the Email problem, I have not noticed this before, you had to sign into the survey sites I have used. Do you think this is worth the time to make an extra $100 a month. I would say for someone who is disabled and really can’t do much or simply someone who has a lot of free time and is not bogged down with anything else. You know how you might go to your phone waiting in line or at an appointment with someone? Those are usually times I will do a few surveys to fill in the boredom void. In that since I don’t see why not. Again as long as you don’t mind the E-mails you will start getting. I had not heard of Survey Money Machines until finding your site. I have tried a few survey opportunities and it took a lot of time to make a very small amount $$. However, if occasional $15 surveys are offered it may be worth checking into. Yes Connie they have some good clients. But usually they make you sign up with them and that calls for another rush of E-mails. I stress this because to many E-mails can get frustrating. So the one I mentioned Send Earnings is the only one that I respond to as an effort to keep the E-mails at a minimum. It doesn’t pay the huge dollars but you run into the occasional survey that pays $1.00 to $3.00. But he offers you accept can be up that high. Check it out and see if they have something for you. Yes Connie they do have some good clients. But a lot of those high dollar ones you have to sign up with them and that usually leads to more E-mails because of the questions you are asked when you sign up. That’s why I stick with the one I mentioned which is Send Earnings. They usually have surveys ranging from $1.00-$3.00. But they do have offers you can take advantage of and get some pretty good pay. Check them out and see if anything might work for you. Not often I hear about another opportunity to review after reading a review. I’ll have to check that site out thanks. As you said most survey sites offer poor value for the time spent on them. Thanks for the info. That true Peter about the most of them. I just feel that there are some people who probably would like to do this because they may have the time to do it. But I do use it when I am stuck somewhere waiting and want to pass some time away. I too have gone the survey route, but found them to be a lot of work for very little return, and a little tedious. Very informative review, though. Thanks! They are but I feel also that there may be someone who this might work for them if they realize you won’t get wealthy or something from it. But once again I stress if you not a big fan of a lot of e-mails then you won’t enjoy it from that alone. Thanks for the warning. I get too much email as it is. I guess they feel they have to do this. Sad! Yeah, it is terrible when you check your e-mail and have 50 or so in your inbox every time you look around from different survey places. But the way you can limit this if you want to continue to do these surveys is to reject all offers of joining up for surveys and only use one outfit. You are not going to get rich but you can use it as a time waster and pick up a little change here and there.